A native of Western Massachusetts, Dr. Gail B. Levinsky is Associate Professor of Music at Susquehanna University, where her responsibilities include teaching applied studies in saxophone, chamber music, and instrumental music education. As a solo performer, her presentations include performances at the North American Saxophone Alliance, World Saxophone Congress, British Saxophone Congress, United States Navy Band Saxophone Symposium, and Festival of Women Composers. She has commissioned numerous compositions, including Happy Endings by Douglas McConnell, Sonata for Alto Saxophone & Piano by Jason Bahr and Sun Dance for Two Saxophone & Piano by Matthew Quayle. Her most recent commission is a new work by composer Andrea Clearfield for voice, saxophone, and piano. This Arc Toward Justice was commissioned in celebration and memory of Dr. Martin Luther King, Jr. Dr. Levinsky’s CD recording Tipping Point: Music Saxophone & Other Voices (2009), explores the saxophone in a variety of chamber settings. Beyond her performing schedule, Dr. Levinsky regularly presents clinics at state music education symposiums, including the MENC Eastern Region Conference, PMEA, NJMEA DMEA, and the Midwest Band & Orchestra Clinic. In addition to writing the saxophone chapters for Teaching Woodwinds: A Guide for Students and Teachers, her other research projects include providing a new edition of Rosemary Lang’s “Beginning Altissimo Method” (Ensemble Publications), and a catalog of works written for organ & saxophone, which provides a technical and analytical reference for performers (Lyceum Publications, 2013). Dr. Levinsky received her Doctor of Music, Artist Diploma, and Master of Music from Northwestern University, and Bachelor of Music from Butler University. She is a member of Pi Kappa Lambda, Kappa Delta Pi honor fraternities, and selected for inclusion in Marquis Who’s Who in America. Dr. Levinsky has served as Treasurer and Secretary for the North American Saxophone Alliance, and presently holds the position of NASA District VIII director. During the summer months, Dr. Levinsky is Program Director and serves on the faculty for the Frederick L. Hemke Saxophone Institute @ Snow Pond Music Festival, and teaches at New England Music Camp in Sidney, Maine. 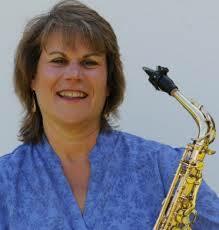 Dr. Leivnsky is an artist-clinician for the Conn-Selmer Company and Vandoren, Inc. She performs exclusively on Selmer-Paris saxophones.